This clean well designed cruiser is worthy of your consideration if you are in the market for a slick late model cruiser with low hours. 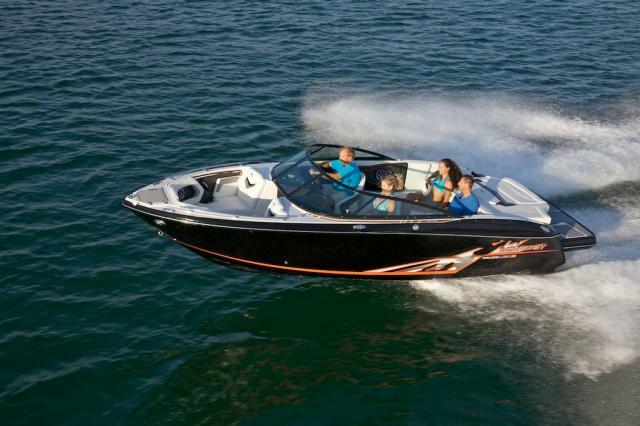 She has the twin MerCruiser 5.0 Liter engines with 75 hours on them. The modern styling and design shows through from the cockpit to the cabin. 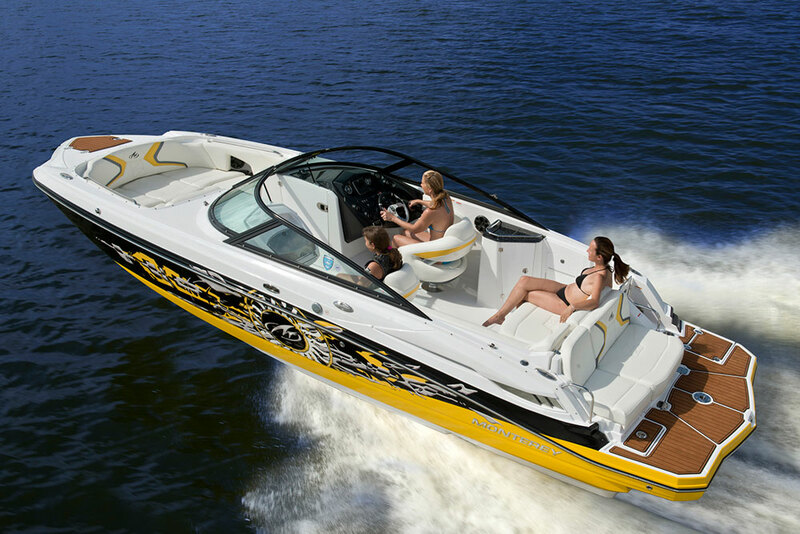 The styling makes it a head-turner on the waterway or at the dock. The Island Lounge Seat in the aft Cockpit can be setup with the backrest in three positions, either aft facing, forward facing or centered. Click on Full Specifications for more information. Call for an appointment today. Shown by advanced appointment only. 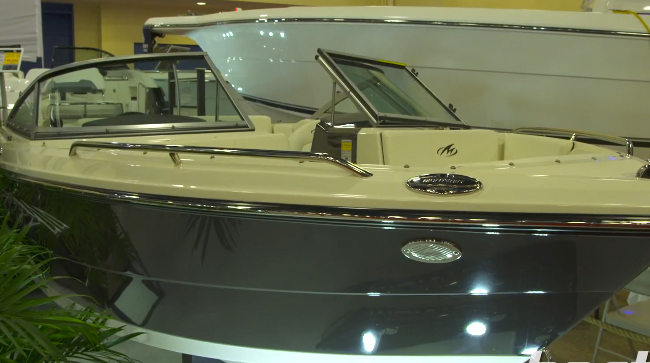 Relaxation awaits you onboard the 300 Sport Cruiser. Taking its styling from the elegant lines of the sport yachts, this twin engine cruiser is the ultimate combination of style and performance. 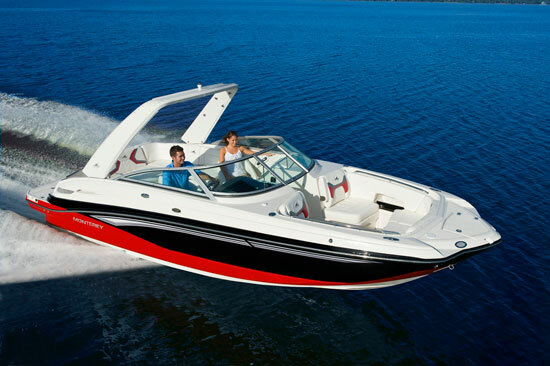 A sophisticated helm features a well thought out instrument panel with central area for navigation equipment. 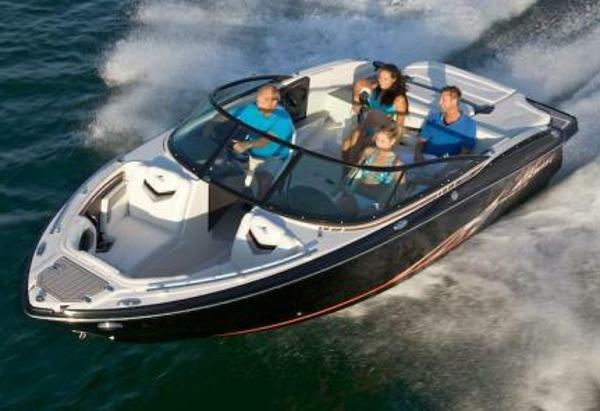 A double wide helm seat means your first mate is never far from you. Step up onto the bow and relax on the large bow sun pad complete with drink holders.